WELCOME TO MY BLOG CUSTOM PICTURE FRAMING BLOG! 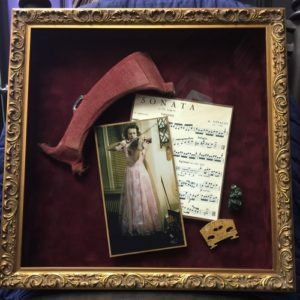 IN THIS PERSONAL BLOG, I’LL SHARE MY FRAMING STORIES, HELPFUL DESIGN IDEAS (WITH PHOTO’S WHEN POSSIBLE), FRAMING TIPS, AND OTHER INSIGHTS WHICH WILL ENCOURAGE YOU TO BE AS IN LOVE WITH CREATIVE CUSTOM FRAMING AS I AM! I am always amazed by the cost of QUALITY shoes. I’m not talking about “designer labeled” shoes cause that’s over kill in my lifestyle. I’m talking about the good arch support, quality materials, and those shoes that you wear every day. Am I surprised about the cost of the quality shoes – sure. 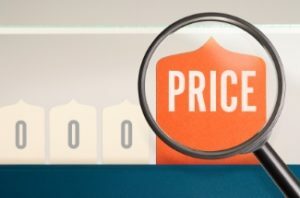 Do I pay the prices? Yup, as my feet thank me later. However, what are you using for your pricing measuring sticks for custom framing? Are you comparing art or picture framing to your other home decor furnishings? What about the finishing touches like a lamp, rug, or decorative chairs…those chairs that no one sits in but they look good? What about the custom fabric for your couch? You choose many of these items to personalize your home. 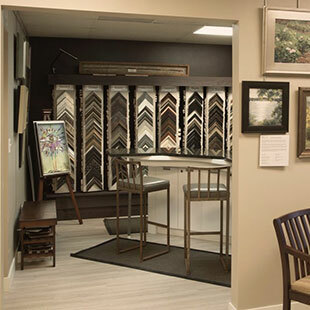 Quality, custom picture framing shows off your personality, your décor, and your treasures. 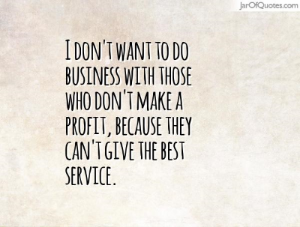 John Paul Getty once stated something to the effect of “Pennies off the masses or dollars off the few.” Individual, small business custom picture framers fall into the 1st category “Pennies off the masses” mentality. The national average for custom picture framing is roughly $250. The majority of items we frame are less than 16”x 20”. There are all sorts of industry stats. But I want to provide you “with a better picture” of the breakdown of the cost of framing your items. Let’s say a framing project is $250 (before taxes) for some easy math. 1)Material costs are roughly 30% of each framing job. So 30% is $75, this includes the wood (not plastic) moulding that is milled, stained, or painted, gilded, has hand rubbed wax, or is polyurethane finished. It includes the mounting boards, adhesives, special tapes, papers, assorted hanging hardware. If something is used in the construction and building of your project, it is included in this material costs category. 2)Labor is roughly the next 30% of a framing job, so that’s another $75. Most individual framing projects take about 2-4 hours including design time, ordering, receiving, making the frames, cutting the mats, cleaning, assembly, etc. Employees (and owners) want to be paid for their “time” at work, (like you do) and so do framers – but that isn’t really their paycheck wage as you still have taxes, insurance…. Now, if you are doing “special skilled” design framing, add more labor, as it takes more time, knowledge, handling, and overall care to achieve your custom results. It can take 6 to 10 hours for some shadowbox creations. Most framers monthly overhead is $3,500 to $5,000 (or more) a month. Leases, (building payments if you own the business) equipment, repairs, phones, insurance, health benefits, in-house sample displays, advertising, websites, bank fees (yes – each of those credit charge swipes cost a business $$), inventory, lighting, accountants, etc… all these things have to be allocated into your purchases. And the majority of these are due MONTHLY, without fail. Figuring $75 offsetting the $4000 is 1.8%. It takes 54 framing jobs/month to just cover overhead! Slow month…overhead costs still have to be paid. The landlords still want a check. 4) What’s left? We are left with 10% of the $250 or $25. That’s $25 to attend education classes, invest in equipment, set aside for slow months… $25. We haven’t mentioned a 401K plan? Retirement? Most picture framers are happy to set aside funds for the slow months to cover payroll and overhead. Maybe now when you hear “it will be $$$”, you’ll say…it’s such a bargain! Support your local SMALL BUSINESS – CUSTOM PICTURE FRAMER! PS: Big Box Pricing… My first 4.5 years as a picture framer I was the Frame Shop Department Manager at a JoAnn’s. At that time it was the 5th busiest frame shop in the company. Personally, I know you are not getting the “sales” you think you are from any of them (Michael’s, JoAnn’s, Hobby Lobby). But, more on this topic in my next blog! We all know the holidays are a time for remembering our family and friends, sharing time together, laughing and creating family memories. But this week, I was reminded of all the times I have created a memorandum shadowbox for family members who have left this world too soon. An acquaintance of my family passed away this last week way too soon. The heartache for his family is understandably deep and wide. His passing made me reflect on the number of times I’ve had the honor of designing and framing projects for loved ones. The first project that comes to mind is a sister bringing in a small watercolor that her sister had painted but she wanted to enhance it more to honor her sister who passed away from cancer. She wanted to reframe this precious painting in “something nice.” After a few new designs were offered, I suggested I take the watercolor out of its current frame so she could see the ideas without the old framing package. Upon removing the “old mats and frame,” I discovered a 2nd painting on the reverse side of this watercolor. The customer began to tear as she stated “my sister painted that on the shores of the Carolina coast, and I was sitting next to her when she painted it!” She had no idea, that there was a 2nd painting. We changed our design concept to one where she could enjoy one side of the watercolor (a horizontal) painting for awhile, then remove it, and turn the watercolor over (now a vertical painting) when she desired to see the 2nd image. Upon completion, and she picked up the finished work, we cried together and hugged. I’ll never forget this lovely project. Then there was the time when a sudden diagnosed health condition caused a 12 yr olds passing… and his life’s treasures were framed – including his boy scout uniform and patches… what more can I say. These are just a few of my memories when it matters what I do had how it makes a difference to someone. It is more than “a job.” It is a framers small way to touch and sometimes, hopefully, help a healing process. This Christmas, share memories, share hugs, and share your love for your family. Why do you select art for your walls? Maybe it is about all the arts’ color, an image, a loved one’s photograph of a special moment to remember, or just a landscape that “takes you away”… but whatever it is, that makes you want it on YOUR WALL – it’s personal! You have a look for your personal space whether it’s your home or your Face book page. Your space can be tradition, eccentric, casual, western, modern, “dorm room”…or…? But it’s YOUR style. Now, you have “something” to hang on your wall. You’re so excited!!! So now what steps do you take to really make that image – YOUR image, and not a duplicate of the 1,000’s that are out there being sold by every furniture or home decor store. Do you really want a mass produced frame that 10,000 other people have on your PERSONAL wall? Custom picture framing – is just personalizing something you want to hang on your wall. Blending your style of living – to enhance your style with your art – into a framed package. That’s all. Adding your personality and aesthetics into your home via the sofa or your wall art makes your home, well you. I know I like to look at my family’s photos on the wall. But I also my coastal beach watercolor which I’ve personally “packaged it” with a frame that matched my personality and grabbed a hook and wire – and placed it on my wall! It’s my vacation – without leaving my home!! I challenge you to take a fresh look at your images on your wall! If you don’t see YOUR personality above your sofa, let’s shake it up!